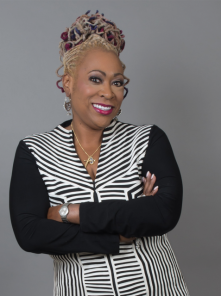 PALM BEACH, Fla. - Sept. 29, 2016 - PRLog -- The Sago Palm Re-Entry Center announces concierge mental health and addictions therapist Deborah King, daughter of legendary boxing promoter Don King, as being the keynote commencement speaker for their graduating class of adult learners on Friday, September 30, 2016 at 9:30 a.m. Adult education graduates will be recognized for their efforts in taking a step closer to improving their education. As correction facilities may not always be viewed as a place of hope for many, the Community Education Center Intensive Outpatient Program Sago Palm Re-Entry Center opened by the Florida Department of Corrections, is just the ticket that several of the internees need in order to move forward with their lives. Coretha Smith, M.ED, MBA, MCAP, ICADC, Intensive Outpatient Director, and staff provide residents with the necessary tools needed to better prepare individuals for a brighter future upon their release from the facility. Ms. Smith expressed her sincere appreciation for the support provided by Ms. King. "From a professional stand point, we [the Center] think Deborah King is the ideal person to speak to our graduates. This is recovery month and we want to do our part to increase awareness and understanding of mental and substance abuse disorders and celebrate the people who recover.She has walked in their shoes and she knows what it's like to recover from addictions. What better person to come speak to our graduates." During the ceremony, Deborah King will encourage graduates to think about their power of choice as it is "a powerful tool given to us by God," Ms. King said. "Life is all about choices. The choices we make today will affect our tomorrow and we are committed to helping others realize how positive choices impact the lives of individuals as well as the world around them." The ceremony will conclude with a small celebratory reception presented to the graduates. Sago Palm Re-Entry Center was opened by the Florida Department of Corrections in October 2010. Offenders are referred through the Florida Department of Corrections. CEC staff provide reentry treatment services inside this Florida Department of Corrections facility. The Intensive Outpatient Program (IOP) is designed to reduce recidivism for Florida Department of Corrections offenders. The program provides reentry treatment services that include individual assessments, individual and group counseling, and substance abuse treatment. IOP services also include relapse prevention, interactive skill-based training, educational services, and alumni services. After 6 Media LLC., is a global communications leader operating as a full service media relations, project management, branding and marketing firm. We specialize in helping clients maximize their public exposure while securing and protecting their presence in the media. We are innovative and forward thinking. We go beyond the common and accepted norm and are in pursuit of the bold and unconventional, remaining grounded by high standards, a spirit of excellence and integrity. : AFTER 6 MEDIA LLC.